In April 2008, Bishop Denis Browne wrote to our Mother General, inviting us to make a new foundation in his diocese. After the General Chapter had voted in favour of another foundation in New Zealand (there is a Tyburn Monastery in South Auckland) the Mother General - who was a Kiwi by the way - came out from England and began searching for a suitable property. Twelve days and over twenty properties later, the site for the new Monastery was found. A relative of our Mother General at that time was responsible for finding this property, having seen it was for sale. When our Mothers came out to see it, it had been taken off the market but the owners changed their minds after speaking to us (much to their own astonishment) and agreed to sell it. With the help of a number of benefactors the 15ha beautiful property in Ngakuru on the edge of the Ohakuri Dam was acquired. About 40 kilometres south of Rotorua, in the Waikite Valley, in what seemed like a place hidden from the big wide world, was Ngakuru. 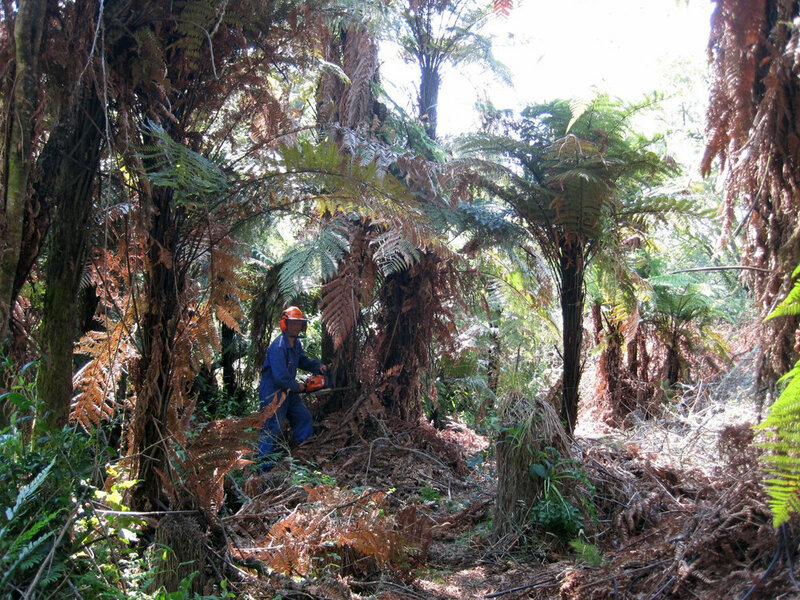 So hidden was this beautiful area that many people in Rotorua had never even heard of the place, “Ngakuru...where’s Ngakuru?”. The Ngakuru property overlooks some of the most beautiful scenery one could imagine, with endless hills rolling away into the distance, and up close a breath-taking view of Lake Ohakuri. Our Mother General knew that this was IT! On the 24th of September 2008, the Feast of Our Lady of Mercy, the property at 74 Dods Road was ours. Mother General then gave the new Monastery its new name: Cor Iesu Fons Vitae, which is Latin for “Heart of Jesus, Fount of Life”; and truly this property was full of life! 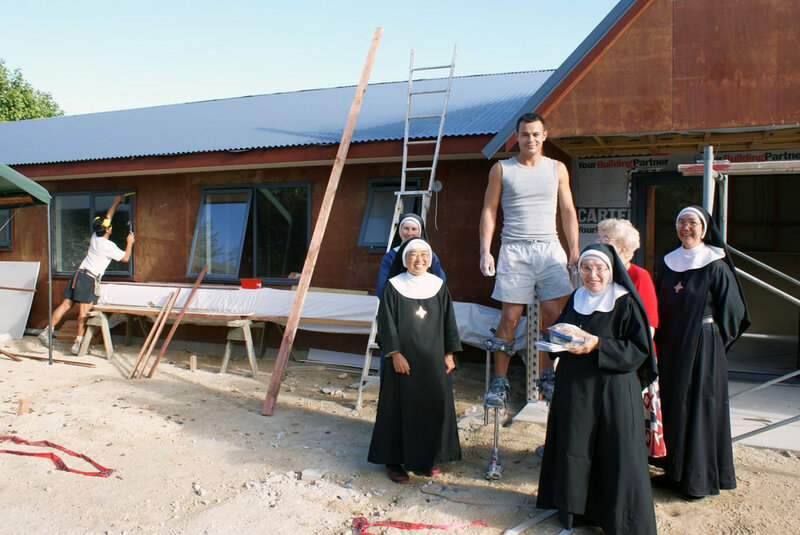 The following year, in March 2009, the first Tyburn Nuns moved into the new Monastery-house. The double garage had been divided into 6 small temporary rooms and a tiny refectory, library and office. It was a little cold and for a while a fruit drying machine served also as a heater! Once the wrong button was pressed at night and the whole wall of three rooms (which wall was the garage door) lifted up before being hastily lowered again. It is all part of the unexpected life on foundation. We lived in the garage for quite some time. Part of the original house became a Chapel and the rest was used mostly for welcoming visitors who were frequent. From 2009 – 2011 many benefactors contributed to the building of the Monastery buildings and establishment of the extensive gardens. For the nascent Community, this generosity was overwhelming. 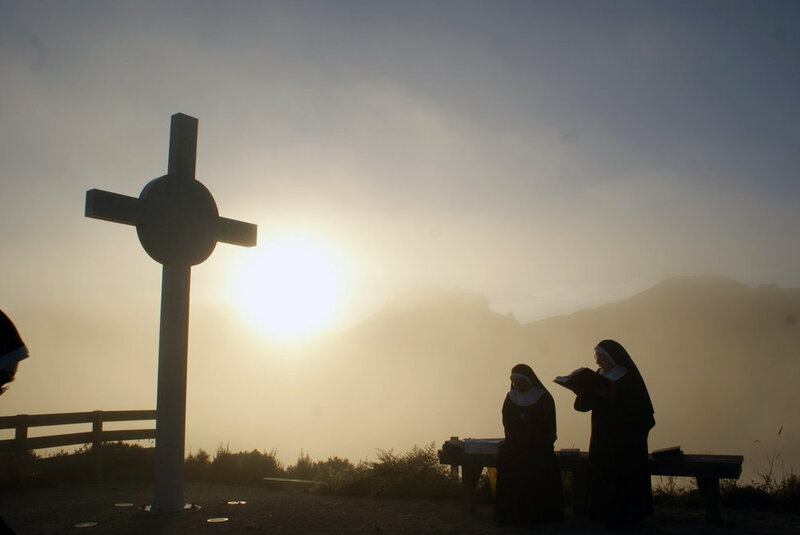 It was a sure sign that God had been watching over this new Monastery from the very beginning, and as a result we have made many friends whom we now pray for every day, asking God to bless each and every one of them, and He will never be outdone in generosity! 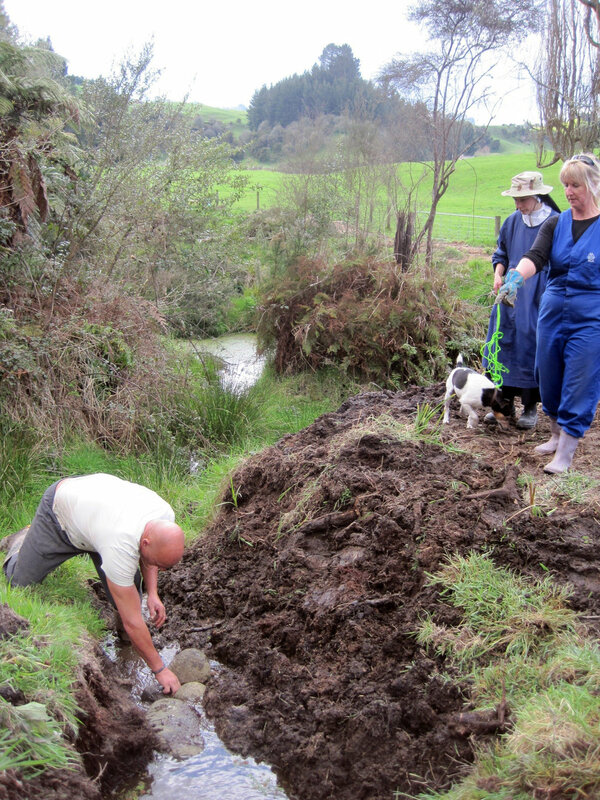 While waiting for the building permit, much work was done in creating and planting gardens with the help of many friends. 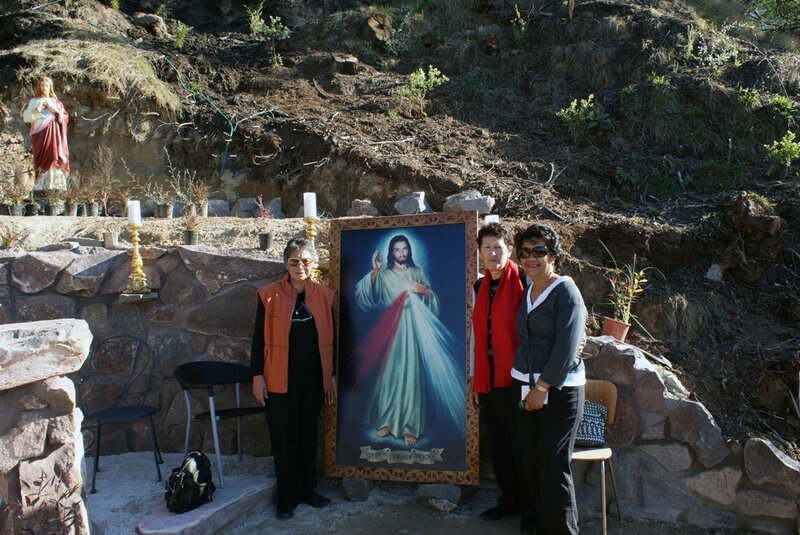 First, a Rosary garden, then Calvary Hill and the Sacred Heart Shrine. The guest house was built first. 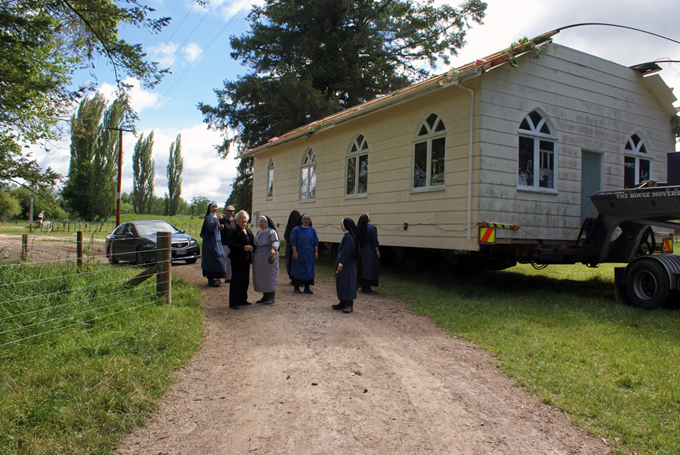 The Chapel in very good condition was donated by the diocese, coming on a truck from Taneatua, and the garage eventually become the Nuns choir. The chaplain’s flat also came on a truck the same day as the church, and was installed at the end of the guest house. And finally, again with the help of unexpected benefactors, the monastery itself was built and opened in August 2011. In the very early hours on Tuesday 17th November, 2009 the Tyburn Community were waiting with great excitement for their “new” Chapel, which would be delivered on the back of a truck! The former Taneatua Church was a wonderful gift to the new Tyburn Community from Most Reverend Bishop Denis Browne and the parish community of Taneatua. Finally, after long hours of waiting the Taneatua appeared over the horizon and what a marvellous sight it was – sitting very neatly on the truck. Oh! Ngakuru - Here we come!!! Parking the new Chapel… not an easy job! 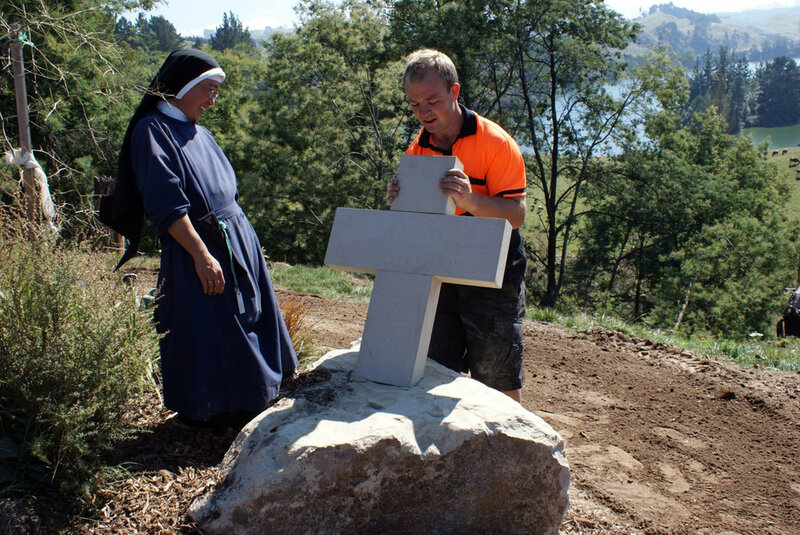 In 2008 it was Steve McLeod who first came up with the idea of having a Rosary Garden at the Monastery and soon he had a team of helpers behind him making this a reality. 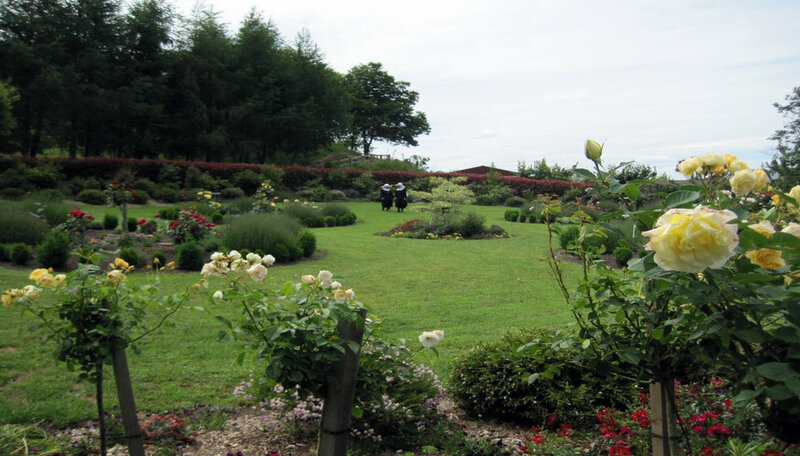 Men, women, and children from every part of the Diocese came to numerous working bees armed with their chainsaws, spades, shovels, and gloves creating one very beautiful garden filled with lovely perfumed roses, enhancing the beauty of the Monastery. 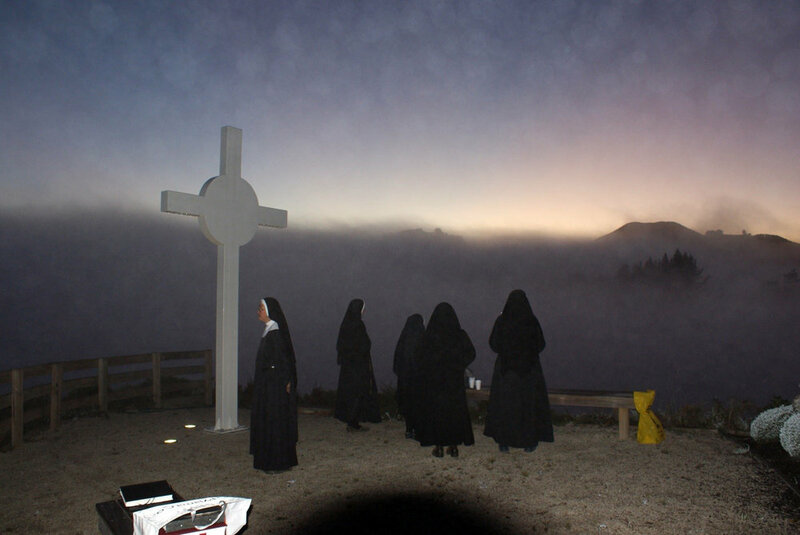 At the end of October, 2009, our many new friends and supporters came for the installation of the large steel Cross on top of Calvary Hill. 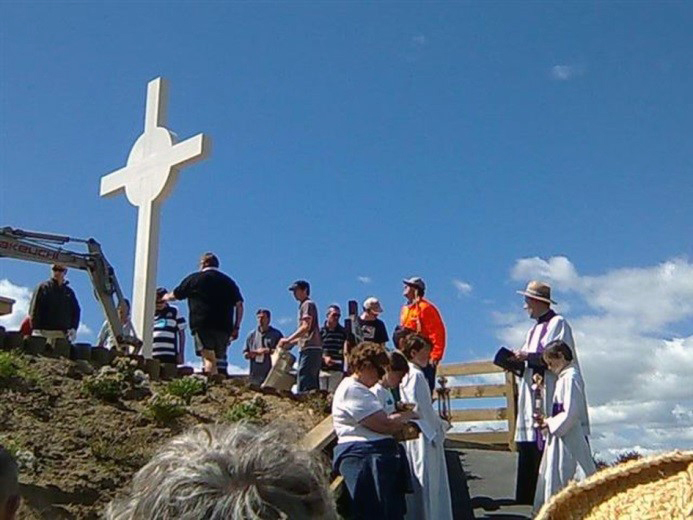 Like Simon of Cyrene a number of volunteers wished to take part in this very special task of “carrying the Cross”, and in this way the wonderful white Cross began its final ascent. 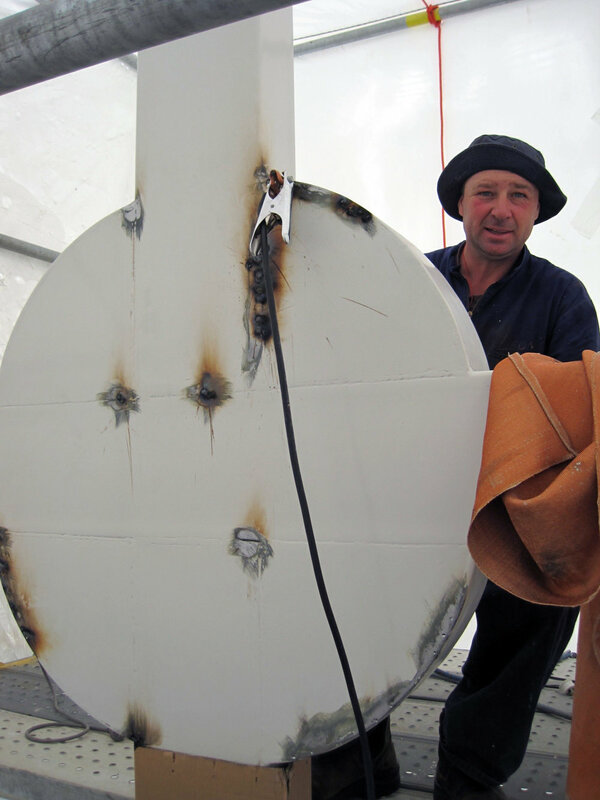 In 2012, our friend and neighbour Bill donated his time and skills in setting up the scaffolding around the Cross which needed a new coat of paint. Our friend Leon kindly repainted the Cross on Calvary Hill – which was a major undertaking and skilfully done. Each rust hole had to be drilled out and refilled before spray painting could begin. 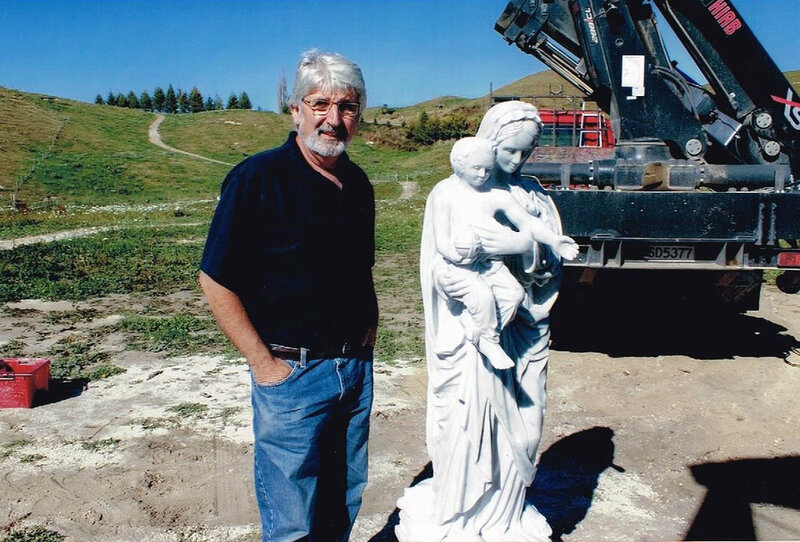 In 2010 one of our workmen, Matthew Skews, was commissioned to construct a Shrine dedicated to the Sacred Heart of Jesus. Large rocks of different shapes and sizes were carefully positioned and cemented by Matthew and his workmen, resulting in a most striking piece of landscape art. 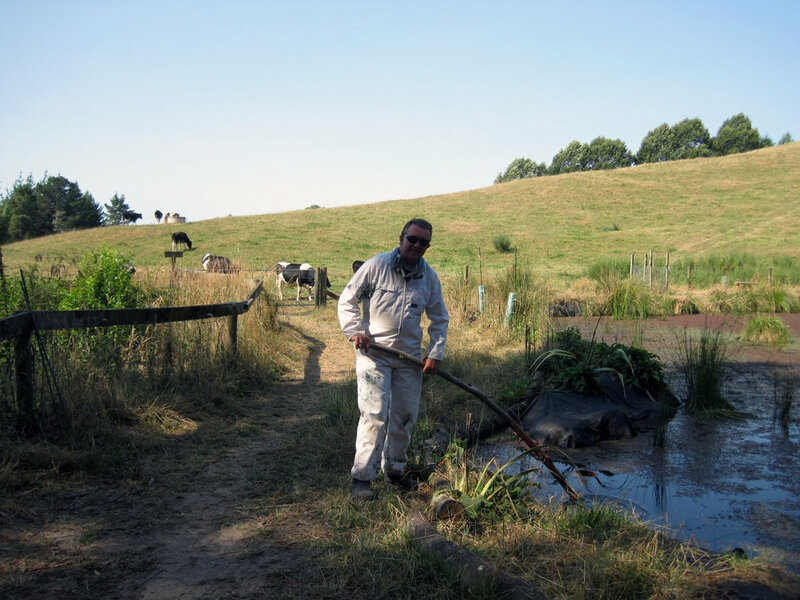 Over the past years many of our friends came on the working bees organised by Steve McCleod and Owen Kowaleski to clear the lower grounds and create new bushwalks by the lake and pond area. They were marvellous workers, and great joy and satisfaction was certainly felt at the end of each day.